Porter Consulting Engineers are involved with the civil engineering construction management for local sand and limestone extractive industries. We assist with the planning and control of their mining operation including design, construction management and maintenance of local roads and traffic management. We also assisted with the site selection, design and documentation of both temporary and permanent camp sites for more remote mining operations. Naval Base Contractors – extractive industry development and management for sand pits at Banjup, Mandogalup and Forrestdale. Rocla Quarries Sand Pit – design and management for the Lexia access roads and drainage. 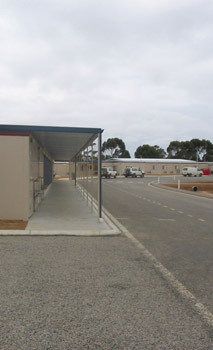 BHP Ravensthorpe – drainage and road design for the 1000-man construction and 300-man permanent camps. BHP Cowra – drainage assessment and civil design for the 300-man rail construction camp. 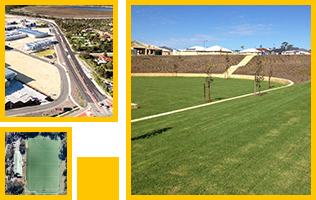 Kwinana Beach Service Corridor Development and Management – on behalf of LandCorp, established the physical and management requirements for the development and operation of a multi-user service corridor linking the Bulk Cargo Jetty and the East Rockingham Industrial Area.